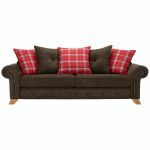 The Montana 4 seater pillow back sofa in Charcoal is sure to become the focal point of your living room, with plenty of seating area for everyone to enjoy. Charming features such as scroll arms, turned feet, and button detailing create the perfect balance between town and county, to enhance the welcoming atmosphere in your home. 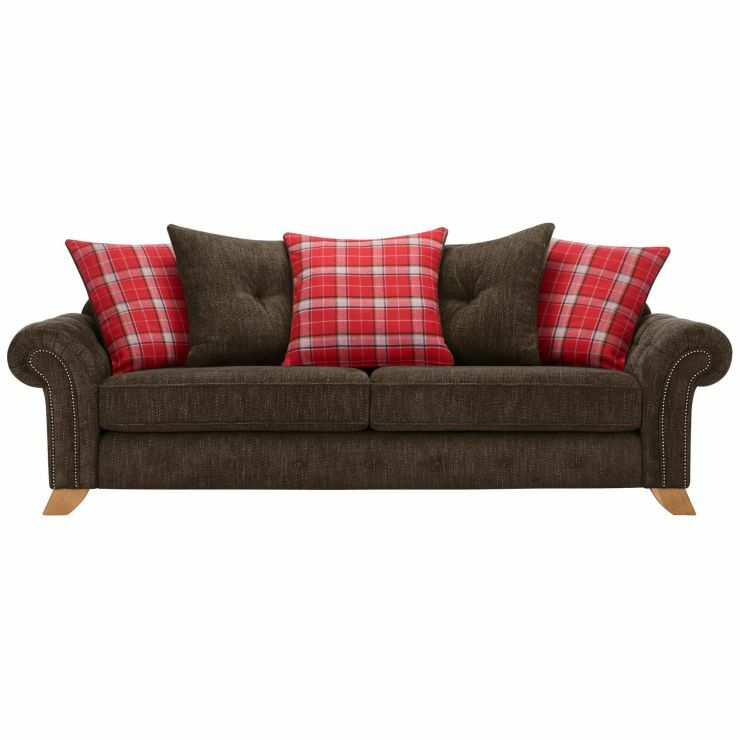 Designed to provide optimum comfort, the plump-free seat cushions and fibre-filled back cushions have a luxurious feel and will maintain their quality look over time. The sofa frame and feet are constructed using solid hardwood, which provides a durable foundation you can depend on. To create a coordinated look in your home, browse matching pieces from the Montana range .